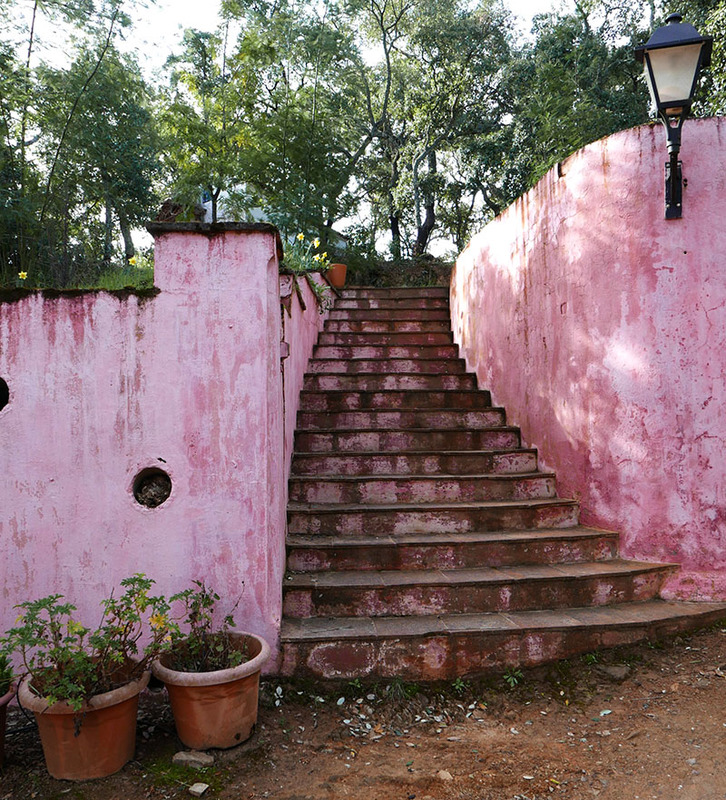 Finca Buenvino is every bit as lovely as we had been lead to believe. Sam modestly described how he sketched out the plans for the house on a napkin in a restaurant, grandly imagining stately reception rooms that had to be slightly scaled back when the practicalities of the build were fully realised. Although inspired by Sevillean architecture, the house has a very English feel to it and what struck us most, as visitors, was how warm and welcome this property is as a family home. 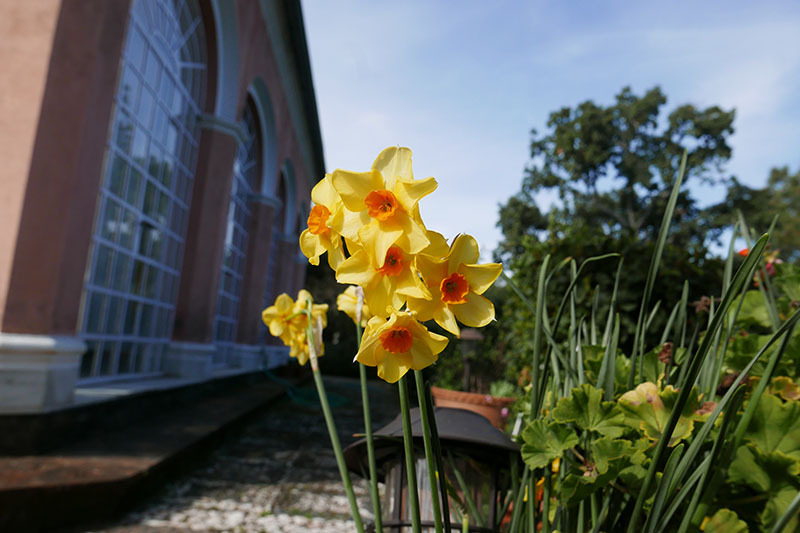 It is some testament to Sam and Jeannie that their two sons have both returned here to help run the farm and the cookery school that Jeannie established. The bed and breakfast initial concept has since grown to include self-catering cottages in the stunning farmland surrounding the house, and there is no escaping the fact that this was and has been a real labour of love, founded ostensibly on Sam’s Bohemian, or Hippyish ideals of a simple life in Spain, hatched 30 + years ago, and a life into which he introduced the equally adventurous Jeannie. No English schooling for their 3 children, but an education in the local schools that seems to have worked beyond success. I had a chat with Sam about his life at Finca Buenvino for my new radio programme, ‘Life Stories’ to be aired on Talk Radio Europe, and I will keep you apprised of the date for transmission! 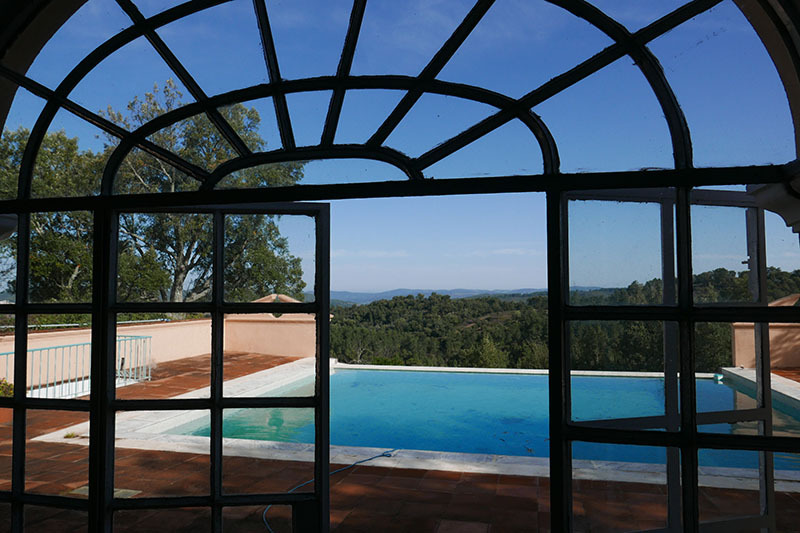 Suffice to say, Andrew and I had a wonderful time at Finca Buenvino with the Chesterton Family, and if you would like to experience the warm glow of this little treasure in the completely unspoiled Spanish countryside, then we can heartily recommend it. 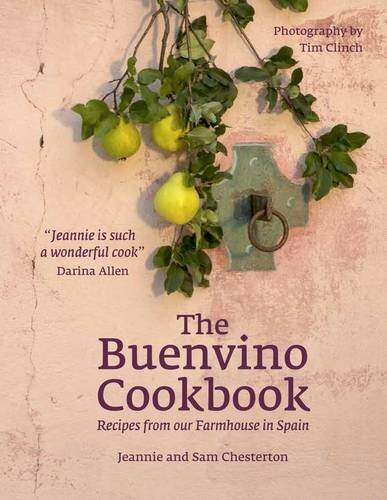 You can also enjoy Jeannie’s creative cooking through the couple’s ‘The Buenvino Cookbook’. Cádiz was calling, and armed with recommendations from Sam regarding good eating places in the city, we said our farewells and headed off to the other side of Sevilla and in the direction of the coast. After the Tolkien-esque sylvan beauty of the Aracena area, the landscape around Cádiz flattens out completely, and Lincolnshire rather came to mind. Although the rain had stopped, and we had the pleasure of clear blue skies, the wind had started to take control. There are brackish plains surrounding the city, and we had hoped to spot the odd flamingo, but seemingly the flamingoes had decided to remain in Africa until the Spanish climate had bucked up its ideas a little. As Andrew so rightly noted, the wind would probably not suit birds prone to standing on one leg. Cádiz is the oldest continuously inhabited city in Spain, and is cited (in Wikipedia) as possibly the most ancient city still standing in Western Europe. 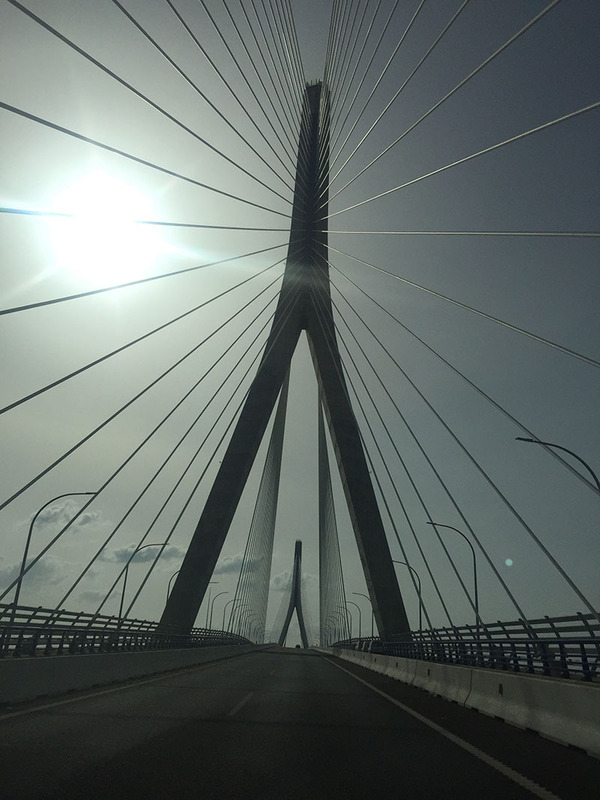 It sits, surrounded almost entirely by sea, apart from access via a narrow strip of land from the south or via the newly constructed El puente de la Constitución de 1812 or Puente de La Pepa - a magnificent feat of engineering opened in September 2015. The bridge takes the driver right to the edge of the ancient city, and it was relatively easy to find our way to the hotel we had booked. It has to be said, we struggled to find the ideal hotel. We tend to prefer places with character rather than soulless tourist or business hotels, but couldn’t find anything that we liked! We settled for the Senator Spa Hotel, primarily due to its location. It is indeed very central, but has about as much character as a Tesco supermarket back in the UK. It was alright, but we found it hard to see how it had acquired its 4 star status. That said, it was a base from where we could explore this City. Sam had given us a generous handful of bars and restaurants where we could eat, and we ensured that these were plotted on our street map. 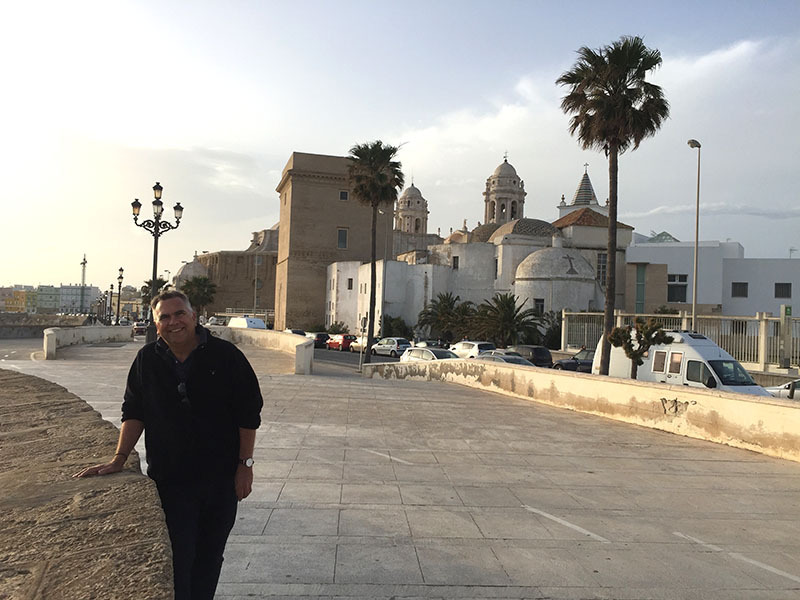 Without exception, these recommendations were pretty faultless, and the food we enjoyed in Cádiz, now emerging as something of a gastronomic centre, was imaginative and delicious. This was not, as it happens, a Sam recommendation. Rather, our first evening meal in Cádiz was recommended by the Lonely Planet Guide to Andalucia, and they suggested we try La Esquina de Sopranis (Calle Sopranis 5), described as being ‘one of those bubbly, contemporary tapas places you’ll never want to leave’. There is a restaurant and a bar bearing the Sopranis name, and we chose the tapas bar - and it certainly was contemporary, but not hugely bubbly when we were there. Mind you, it is worth remembering we are still in Spanish seasonal quiet-time, so we can’t really blame any place for being two bubbles short of the full froth. The wine was delicious and the plates of tapas were, as stated above, creative and imaginative showing real flair from the calm kitchen. Service was, as we then came to expect from Cádiz, impeccable and the waitress knew all about the food and what to suggest, and it was here we were introduced to the cheese of the region, Queso Payoyo. This was another contemporary restaurant, and from the outside it appeared a little bit too chi-chi for two obvious tourists, hungry after foot-slogging around a historic city. 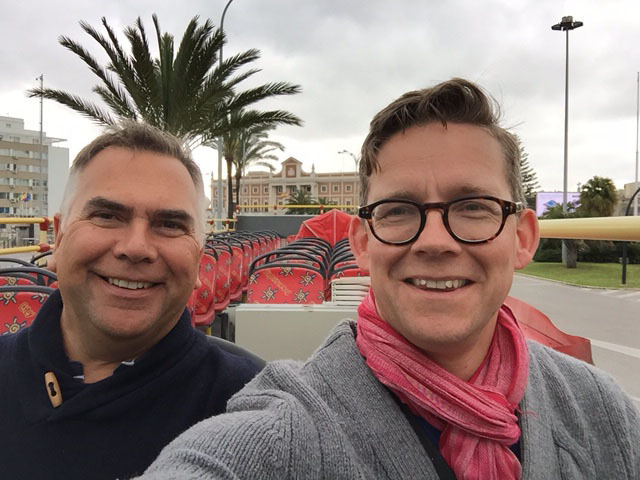 It was shiny and smart, just set back from the sea front in what appears to be a bit of a cultural heartland - the Manuel de Falla theatre is just down the road, and the sleek modern Paradores Hotel is a little further down the coastline. Sam had suggested we head straight for the bar area, at the rear of the interior space behind the restaurant area. The bar is a generous u-shape with plenty of seating, and tables line the walls. We arrived just before the lunchtime rush, which was just as well: as soon as the clock strikes 2, the great and the good of Cádiz descend on their favourite eateries and places soon become packed. We chose this place for dinner on our last night in Cádiz (we could certainly have stayed longer, just to eat at more restaurants if nothing else!). Again, there is a restaurant and a bar, and we chose the bar. El Faro is more traditional in style, but well hidden away and it hardly screams “great food” at you, but from the outside there is a sense of its own value and quality. Cádiz is not a city where tapas comes free with a drink; the menus are clear and the prices reasonable - normally between €2 - €5 for a large tapas portion. Great wine, once again, and a very tempting menu. We settled for Gambas en Bechamel, Judiones con Ahumados (without any idea that judiones were large butter beans), Patatas Aliñadas, and Chocos (cuttlefish). We finished with Tortillita de camarones - thin, crispy little shrimp lattice-pancakes. All quite yummy, but it was rather lovely to leave the bar and go for a brisk and blustery walk along the sea wall before heading back to our hotel (or did we stop for another Manzanilla on the way? ).